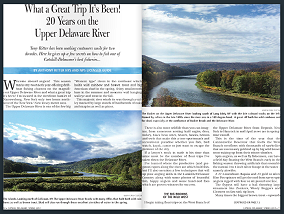 24th Year offering half and full day float trips on the Upper Delaware River. 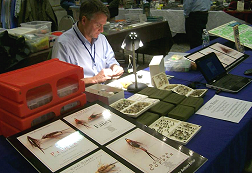 I'll be tying my dry and emerger patterns for wild trout at the Fly Tier's Row! 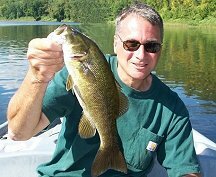 I'll be giving two seminars about the Upper Delaware River! If you're at any of the following shows please stop by my booth and say hello! Congratulations to angler, Julia Grace Ketner, with an IGFA All-Tackle (Length) World Record for American Shad. Julia caught this record fish with me on the Upper Delaware River on May 4 2013. Tony was re-elected in November 2015 to serve the Town of Tusten as Councilman on the Town Board for a four year term. He is also Chairman of the Upper Delaware Council Water Use and Resource Committee. In 2012 he was awarded the annual 21st Sullivan County Pride Award for the Town of Tusten by the Sullivan County Chamber of Commerce. 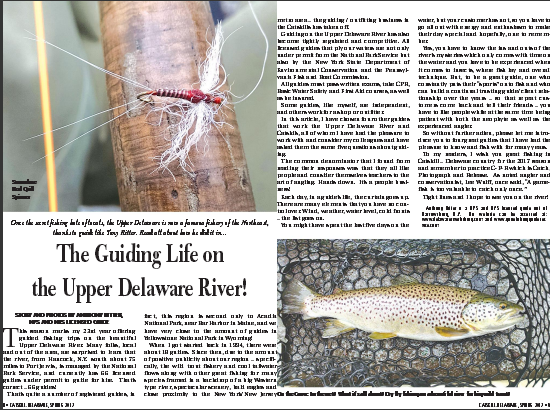 "The Guiding Life on the Upper Delaware River!" 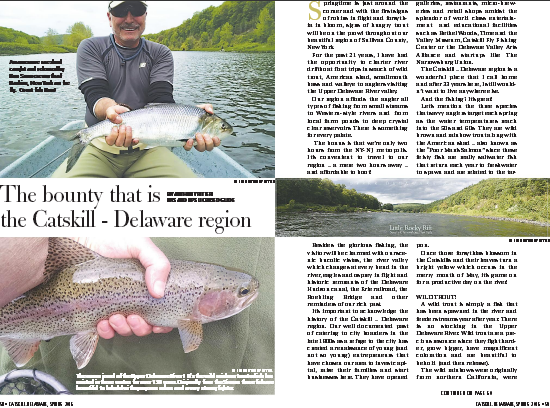 "The Bounty that is the Catskill - Delaware Region"
"Precious Cargo: The Wild Rainbows of the Upper Delaware River"
"What A Great Trip It's Been! 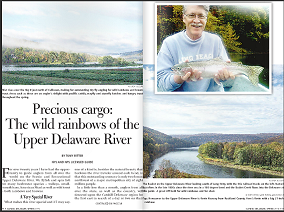 -- 20 Years on the Upper Delaware River"
in their most recent 2013 publications. 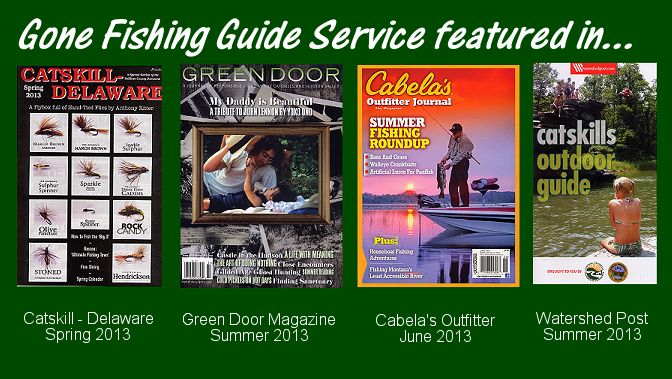 along with my guide service in their recent, June 2013, magazine, "Outfitter Journal". Please feel free to email me if you'd like a copy of these publications. 2018 is my 24th Year! you're one hell of a good guide -- until the next time."